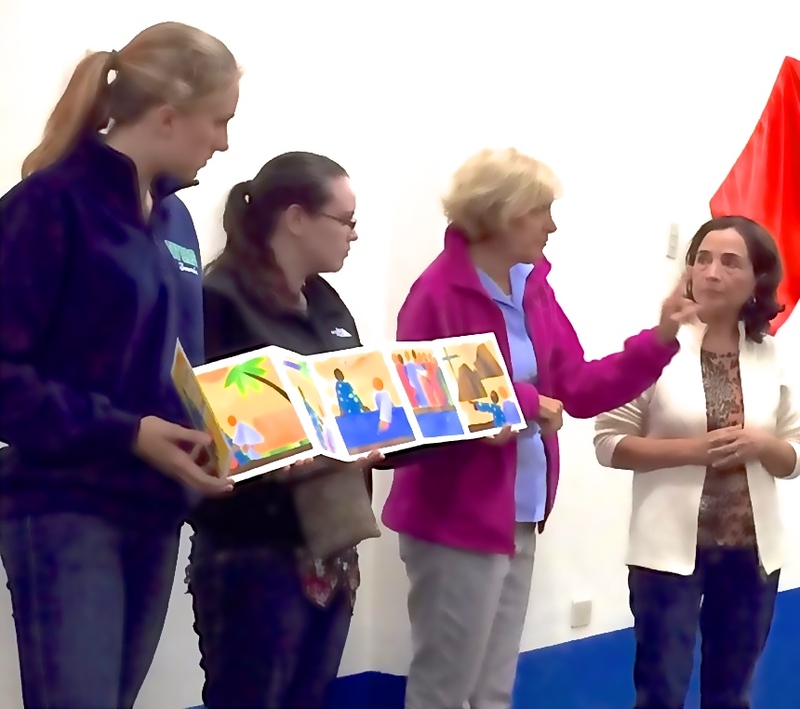 I made a sample of a Psalm 23 book in order to leave it with the leader in Peru. I did not bring my original, but I was happy to collage another accordion book in response to Psalm 23. 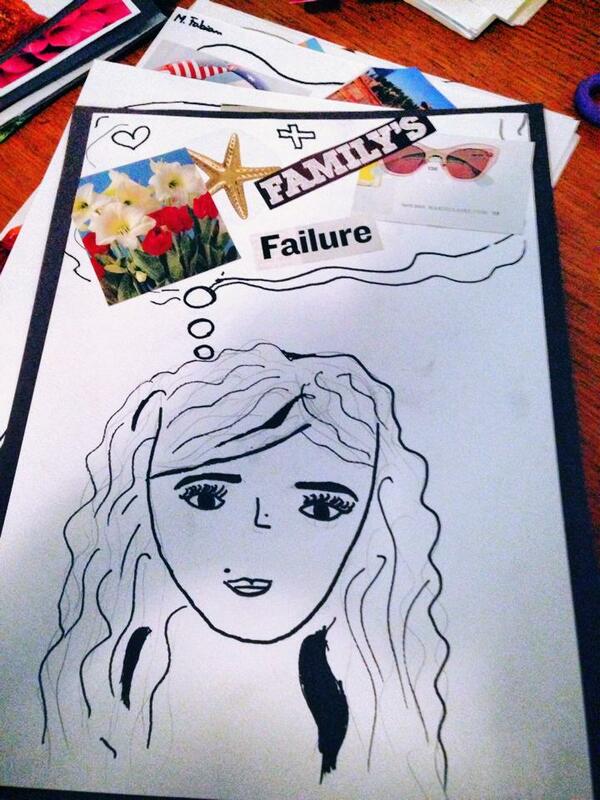 Women may process their own stories while collaging Psalm 23. I pray this sample book will spur on many women in sharing their stories and God’s story of redemption. 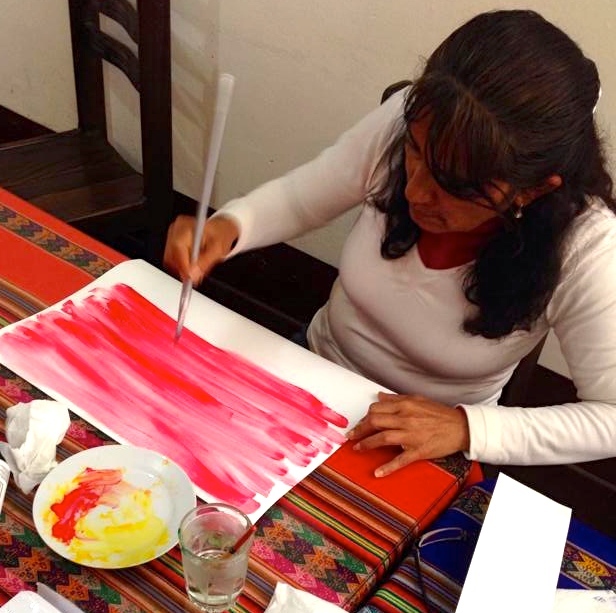 Here is Eisleen when she and I painted papers in Peru for her to use in collaging her own books. What a fun day in Peru! Lots of water and several colors of paint! 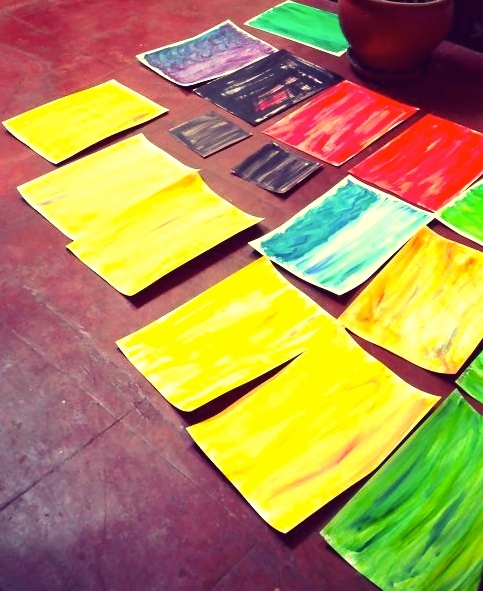 We painted a variety of colors so Eisleen will have a nice supply. 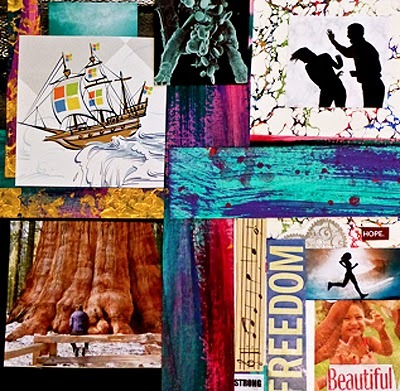 I use collaged art books to teach and convey Jesus’ heart for women. (I could only do this work with my amazing translators! Thank you, Flor!) This book is the story of Jesus’ encounter with the woman at the well found in the Gospels. 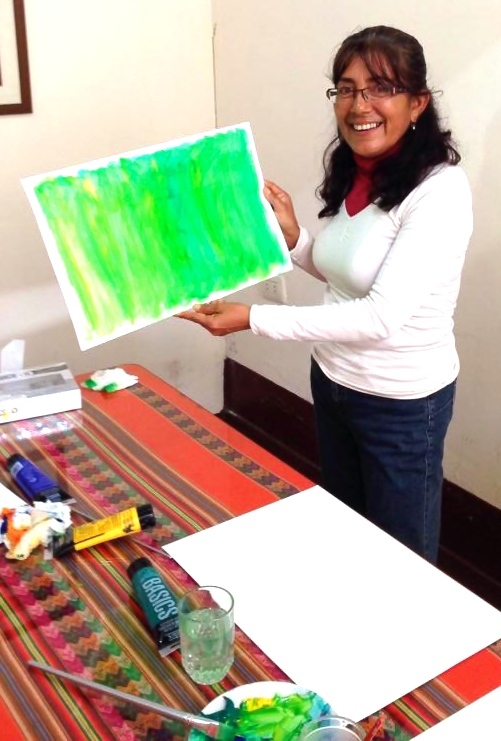 Eisleen is planning on using collaged art books to teach the women she leads in Peru. She recently created two pages of a book she is working on to tell the story of Jesus’ encounter with the woman caught in adultery. Eisleen’s first two pages of her book. I look forward to seeing her completed book. 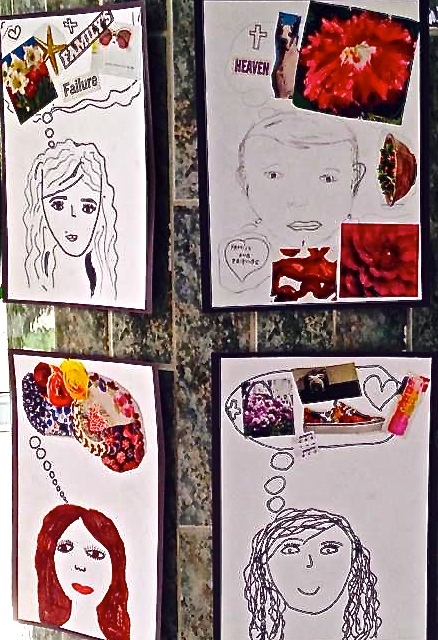 I asked the middle school students I taught in Romania to collage what they were thinking. I had the students draw their faces or themselves as best as they could, and then add a giant thinking bubble above their heads. 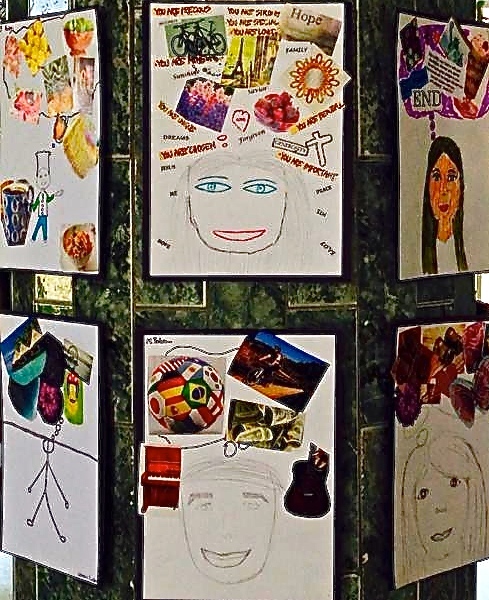 Then they glued down pictures from magazines that represented what they were thinking. Here I am with several students as they find magazine pictures for their thinking bubbles. The artwork may be a springboard for sharing stories, or to just start a conversation, and possibly have a time of prayer. 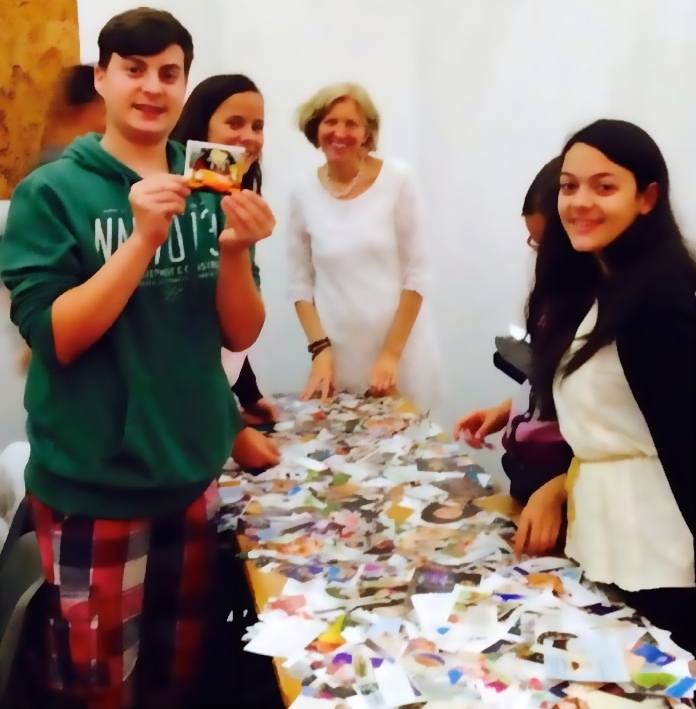 Story Collage – What Is It? • When were you gripped with fear? • When did you feel very alone? • When did you feel very small? • How does God see you?